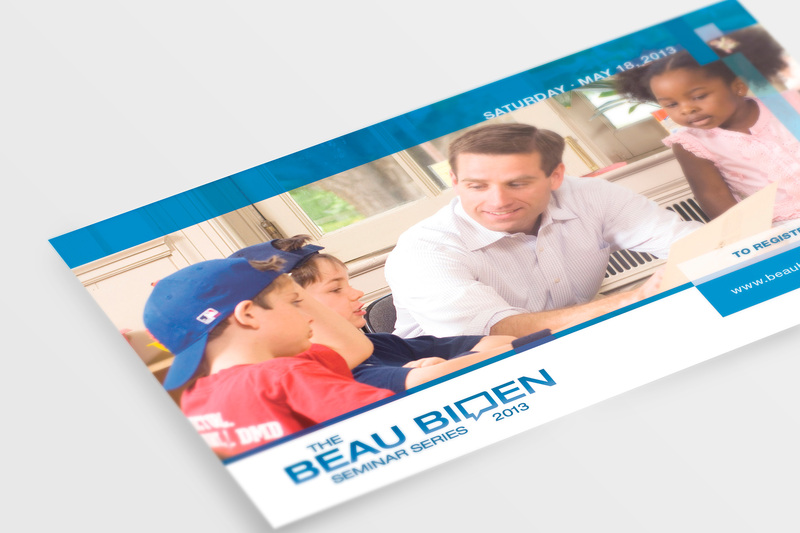 Delaware’s Attorney General Beau Biden needed an identity for a seminar series he was conducting to help consumers protect themselves against scams that target their financial information and rob their personal identities. The seminars would teach potential victims how to safeguard and limit the information they share online, as well as show them how to monitor their bank and credit cards. Furthermore, the seminars shared resources in the event that do, in fact, become victims. The seminar series were set up as open forums for Delawareans to share their experiences and ask questions. The simple, clean solution is approachable and friendly. By not focusing on the topic, but rather the format, the branding would also cover any series the Attorney General chose to tackle in the future.